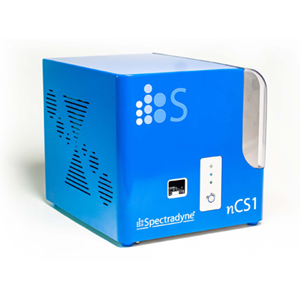 Spectradyne's nCS1 instrument provides a unique platform for the rapid quantitative measurement of nanoparticles in solution. The method used to measure nanoparticles is electrical in nature, so does not rely on an optical index contrast to distinguish particles from their suspending medium. The instrument measures individual nanoparticles and rapidly accumulates statistically-reliable distributions of particle sizes with quantitative concentration information. 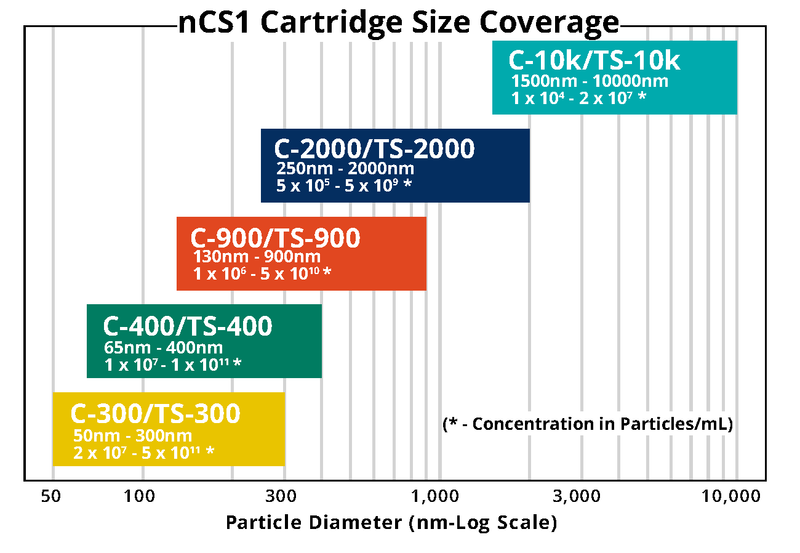 This unique capability separate the nCS1 from any other instrument on the nanoparticle analysis marketplace. Watch a video of the nCS1 in action! Spectradyne's technology uses highly-engineered microfluidic cartridges for sample analysis. Leveraging advances in semiconductor processing techniques, these cartridges include engineered features that make the Resistive Pulse Sensing technique practical and easy to use at the nanoscale. 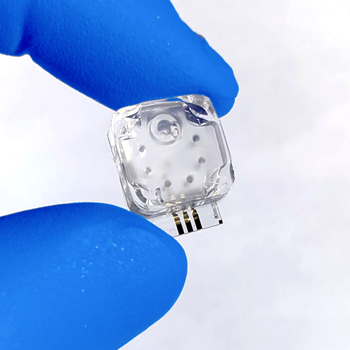 Some of the benefits our customers appreciate include: 1000-fold smaller sample volume require for analysis (only 3 microliters), no time spent cleaning flow cells between samples, and embedded fluidic features in each cartridge that prevent the clogging behaviors seen in other simplistic implementations of the method. Pre-calibrated at the factory so you don't have to, the microfluidic analysis cartridges are at the heart of Spectradyne's technology. In the table below we display the different cartridge specifications that are available. You can also view a cartridge map for cartridge selection. 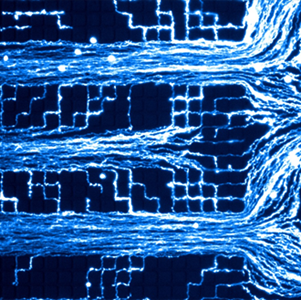 Read about our microfluidic technology. Click here to register for a webinar on our technology. We discuss the nCS1 technology and present detailed measurement results. We can provide starter kits for researchers just starting out with our instrument. 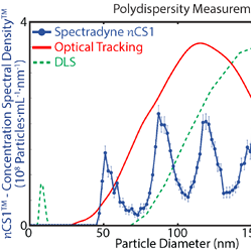 Software generates histograms of particle diameters, yielding the concentration spectral density (CSD) with units of nanoparticles per unit volume per unit diameter (particles-mL-1-nm-1). This quantitative measure can easily be converted to histograms representing the number of particles in any desired bin width; the CSD is a measurement-independent property of the analyte. Good statistics can be obtained in a few seconds. A more technical description of the measurement platform may be found in J.-L. Fraikin et al., Nature Nanotechnology (2011). Spectradyne's nCS1 provides accurate, high-resolution particle size and concentration distributions for particles of all material types. The use of resistive pulse sensing for detecting the particle size responds the same way when presented with particles of biological, organic or inorganic origin, giving e.g. the same result for gold NPs, virus and lipids of the same diameter. For more information or to arrange a demonstration of the technology, please contact us. We're happy to do demonstrations, or measure your samples.